Place gently-used clothes in trash bag. Insert in car. Transport to the Y at 821 Via de la Paz - Dec. 5-9, 2011 - Or, bring to the Young Angels table at the Winter Festival on Sunday, Dec. 4th, 2011, from noon - 2 p.m. Clothes drive is supporting St. Agatha's S.H.A.R.E. Ministry. This project is a co-production of Young Angels & the Y. Warning: Side effects may include a tidy, empty-looking closet that can result in your receiving excessive gifts of clothes over the holidays. 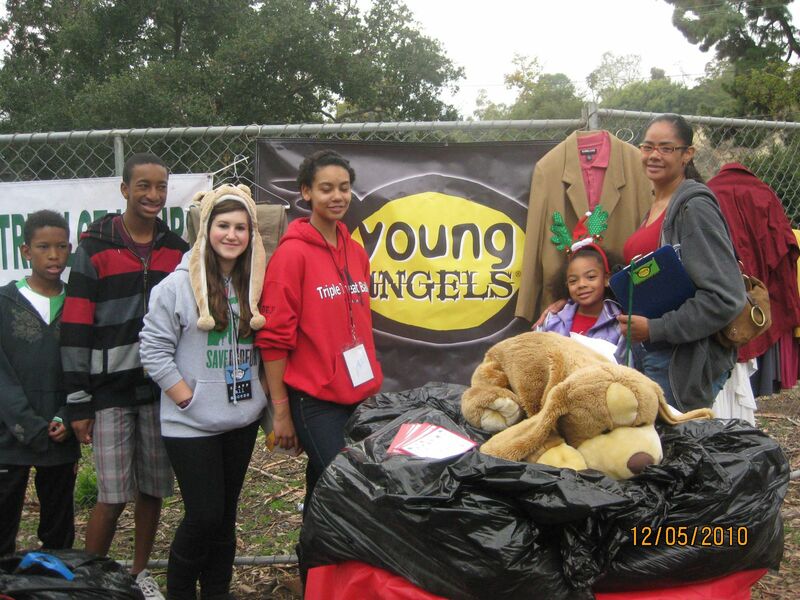 If you experience warm, tingly feelings of generosity and a desire to give back, call your nearest Young Angel immediately or contact us at info@youngangelsofamerica.org to rsvp to the sort & fold party on Dec. 9th.2011.